I love the dog collar market. When I started making collars in 2012, it wasn't great. Companies that are big now were just starting out. You youngsters are spoiled - today it's hard to choose! Frankly, I don't know how any of you do it. My dogs just wear whatever I make them and I'm relieved of that decision. 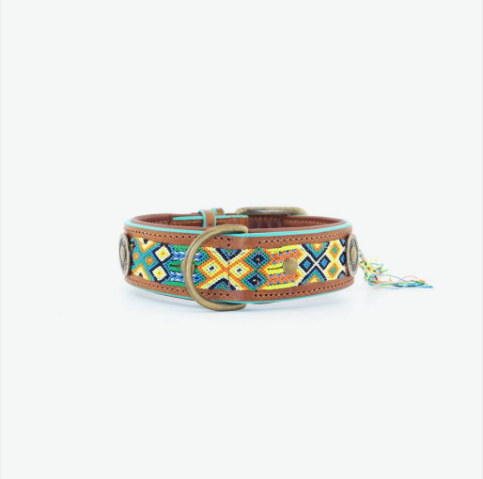 I was only supposed to come up with 5, but try as I might I couldn't edit my list down that small, so here are 8 of my favorite dog collars on the market right now. 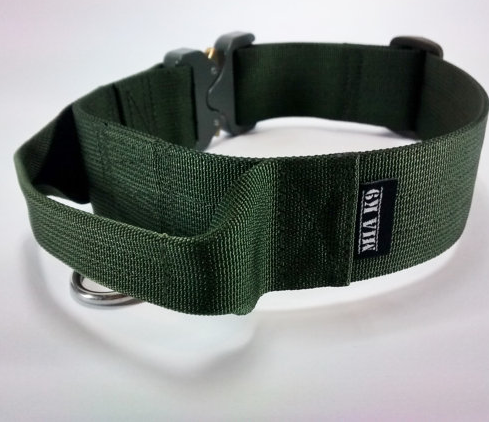 This first one might be a little surprising - but I find myself strangely drawn to these tactical inspired dog collars. Part of it might be that my older dog, Ike (the good son) goes off-leash on walks. Because I think it's unwise to have your dog off leash when unfamiliar people are around, I like to be able to grab him when we see a person up ahead, so the built in handle really appeals to me. I also think the construction looks a bit military chic - which I don't always love but here it works. Starting at just over $20 each they're also the most affordable on the list! 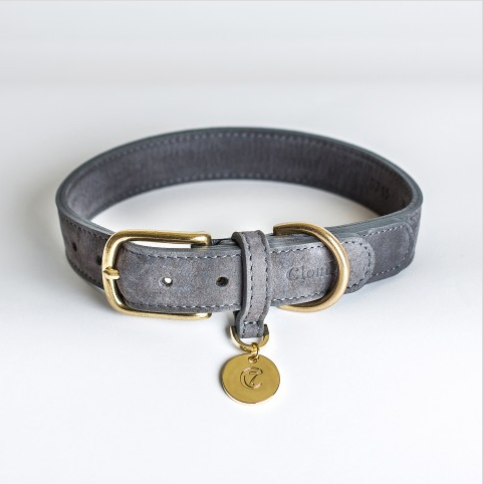 And if you have a particularly strong or aggressive dog, you can even opt to add a COBRA buckle (+$30). These military grade buckles are the strongest on the market - when I first started sourcing materials, I bought one because I thought they were interesting and unique - I never did end up incorporating it into a design, so I'm happy to see that someone has done it justice! My first encounter with Dog + Bone collars was through a rescue I volunteer with. 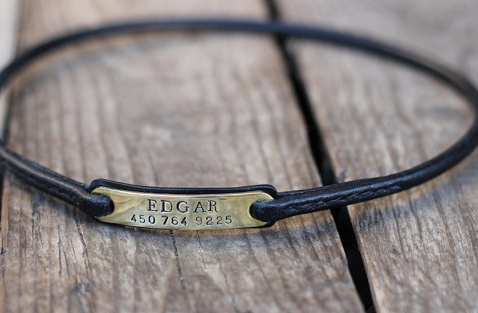 If I saw a dog out in the wild with one of these collars on I wonder if they came from A Purposeful Rescue - to me they are a calling card of the rescue - which you know means the folks at Dog + Bone are donating lots & lots. The story behind Dog + Bone is simple: husband and wife team, disappointed with the current offerings, start a dog collar company reflecting their own tastes and values. I love their simple approach. Surely the biggest hurdle I've faced in product design is durability - how much can you sacrifice for good design? I love that they haven't compromised either. To me it feels like the common dollar store dog collar with a much needed makeover. At $35 it's going to cost you a little more- but when you know where the money is going, and that it's going to good people with good intentions, it feels more than worth the extra $34. Speaking of companies that give back, Dogs With a Mission couldn't be more upfront about that. First of all, I like the sound of a dog with a mission. 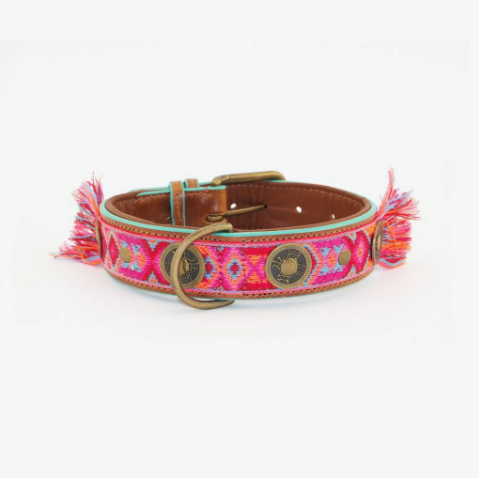 Second of all, even if all the homeless dogs were adopted and the shelters were cleared and rescue ceased to exist (#goals), I would still be just as in love with these bright boho collars. Full disclosure - this was my first idea for a collar. It was around the same time that Frieda & Nellie were getting loads of press, and I remember thinking dog collar + friendship bracelet YES. But as I soon discovered, I was terrible at making friendship bracelets, it just wasn't clicking, and I didn't see how I could make them without charging a fortune. So I couldn't have been more excited to see that someone has turned my dream into reality. Ranging from $40-80 EURO ($43-87 USD) - they're not the most affordable collars out there, but people, they're on a mission! Saving dogs and supplying joy, what's better? I remember See Scout Sleep from the early days of my own company - we started around the same time and I thought the name was so charming (I'm terrible with naming things incase you can't tell). This is another company that thrives on simplicity. There are more than enough color combinations to strike the fancy of just about any personality, but it's all very no fuss, with an appealing organic element to it - the go-to for a trendy photo shoot. I especially love the new leather options they added recently, they look like something you'd expect to see at Madewell. Ranging from $35-50 ($50-100 for the leather options), they're at once affordable, durable and stylish. The trifecta of dog collars! This Berlin based brand comes to us from fashion designer Petra Jungebluth. After working with brands such as Tommy Hilfiger and Liz Claiborne, Petra turned her creative energy to a beautiful line of pet products. What I love about these collars is how perfectly tailored and luxurious they look (I didn't even know dog collars could be tailored!). Also to me there is nothing more lust-worthy than the right shade of emerald green, AM I RIGHT? Can I also just throw in the definition of Nubuck leather, which is what they're made of : "top-grain leather that has been sanded or buffed to give a slight nap of short protein fibers, producing a velvet-like surface. It is resistant to wear, and may be white or coloured." Beautiful, durable, and luxurious. At $60 EURO ($65 USD) they honestly feel like a steal. I'm tempted to just leave the name and write nothing else - that feels like enough information to justify purchasing something form this super fun and eccentric brand out of Australia. I've never been much for spiked collars, but when I saw their toned down animated version that all went out the window. If you think that there's no possible way your dog could bring more joy into your life then you haven't seen this shop. Playful but at the same time refined, it's what I love Australian designers for. And at $32-40 AUD ($24-30 USD) a piece, there's more than enough room to add shipping and maybe even one of their drool worthy beds! While the design of these colors is fairly commonplace - brands like Hound Collection, Mungo and Maud and Mia Cara all do a beautiful variation - there's something about these in particular that feels extra light and soft, gravity-defying even. I also appreciate the modesty of the branding. I think it's tempting with this type of basic design to overcompensate with branding, which can appeal to a younger, hipper, insta-ready customer - but the older I get the more I appreciate fine craftsmanship over trendy branding. It also shouldn't be missed that they chose to name the company after Laika: the first dog in space (all the feelings!). Something that actually seems fitting for these paired down yet expensive looking collars. When I imagine the dogs of the future, it's easy to see them wearing these, which I feel more than justifies the hefty $80 price tag. These last ones I have been eyeing from afar for years - they're a bit of a fantasy for me. 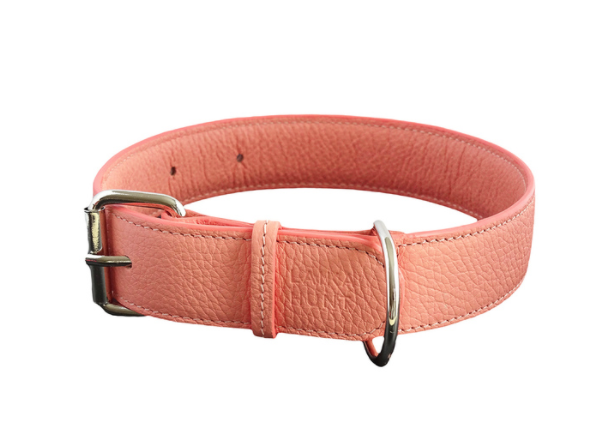 I want to live in a world where this is all my dogs need to wear, just a pencil thin collar and an ID tag. They don't need a leash attachment because they never have to be on leash, it's the closest thing to a wild dog you can get, and wild dogs are my breed. I still think they're a good option though, especially if you're custom to walking your dog on a slip leash, or even a collar/leash combo you just throw on for walks. I honestly don't even know if this qualifies as a collar, it's kind of like the Pluto of dog collars. But I love it. And I'm going to get one, I just convinced myself.